Director: Christopher SheffieldWriters: Christopher SheffieldStars: Jax Menez Atwell, DeJean Brown, Maryam CnéSummary: In the underground world of contract killers, mistakes cannot be tolerated. Set "Doreé Seay", a top brutal mercenary with an icy exterior, finds out the hard way when one mistake sends her on a treacherous mission to clear her name. 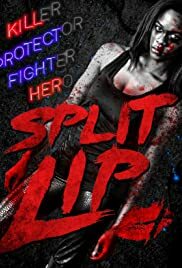 Hunted by her former mentor Karlton "DeJean Brown" and his roster of psychopaths, she forms an unlikely alliance with a mysterious stranger and his sister as Set races against the clock to out-wit and out-fight the dark forces gunning for her life.